At 12:57 pm today I did a happy dance, jumped for joy and suddenly had a spring in my step with the official start of Spring…bring it Mother Nature!!!! 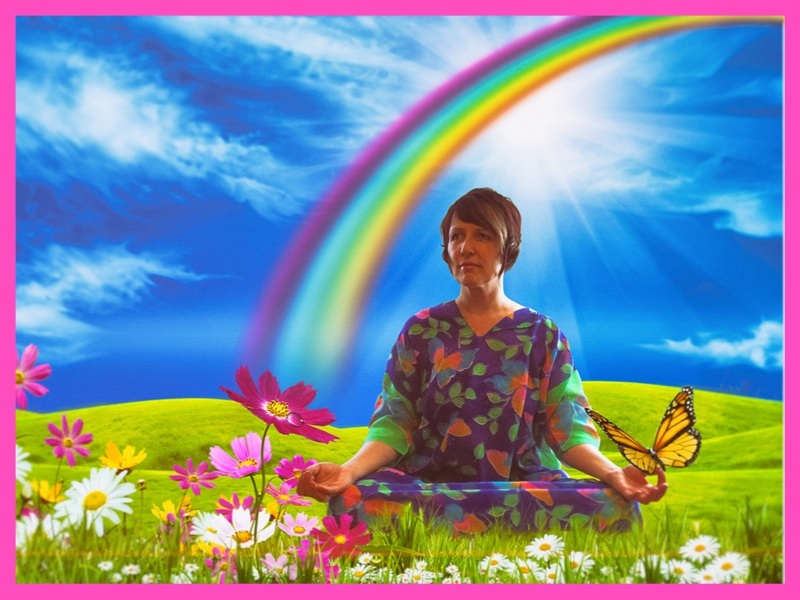 So to celebrate the Spring Equinox I got decked out in my early Spring MuuMuu, found a field of flowers and then just like magic a rainbow appeared and butterfly came to visit me. Not only is this the first day of Spring it is all the start of the MuuMuu season. Jenn! I wanna buy that Muu Muu. So fab … I can bust out my butterflies that I used to wear in my hair!